You are here: Home / About Farming & Food / What Is The Withdrawal Period for Antibiotics, and Why Does It Matter? What Is The Withdrawal Period for Antibiotics, and Why Does It Matter? 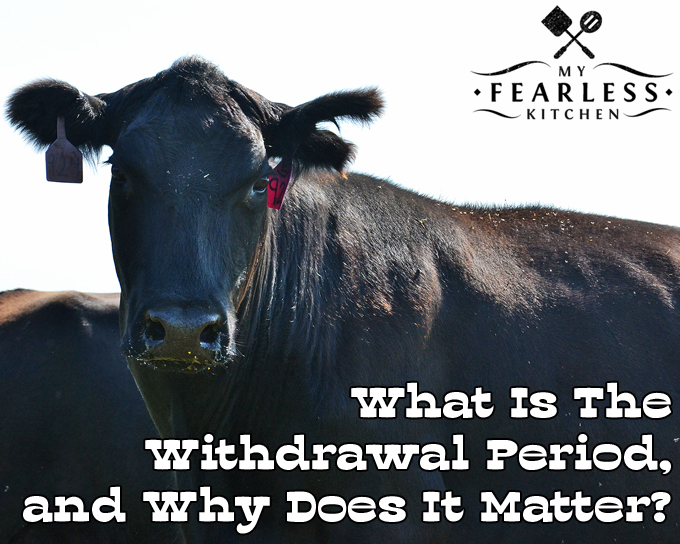 Every medicine that is given to animals, including antibiotics, has a withdrawal period. Farmers must follow these withdrawal times to be sure no antibiotics are in our food. When a person or an animal is given an antibiotic, it goes to work in the body. The antibiotic does its job killing bacteria, and the body does its job breaking down the antibiotic. This break down takes different times for different antibiotics. It also takes different times in different animals (cows compared to pigs, for example). Some antibiotics have different break down times for different tissues (milk, meat, or liver for example). The time it takes the body to break down the antibiotic until it is no longer functional or present is called the withdrawal time (or withdrawal period). Once the withdrawal period has passed the antibiotic has been eliminated from the animal’s system. Every antibiotic has a withdrawal period. Some withdrawal periods are very short, 1 or 2 days. Some are longer, 7-10 days. Some are even longer, up to weeks. The withdrawal period must be determined for every species of animal the antibiotic can be used on. If the antibiotic can be used in a lactating (milking) animal, the withdrawal period must be determined for both meat and milk. (The withdrawal period for milk is usually shorter than the withdrawal period for meat.) All this testing must be completed before the antibiotic is available for sale. Why Does the Withdrawal Period Matter? These are two very important ways that farmers contribute to food safety every single day. First, by monitoring which medications they give to their animals, how much they give, and when they give it. Second, by maintaining accurate records and sticking to the withdrawal period. There are layers of monitoring in place to make sure that farmers are doing their due diligence and taking care of their animals, their families, and your families. It simply takes time for the body to break antibiotics (or any medication) down to a form where the medicines are no longer functional and leave the body. This is why withdrawal periods are so important. Following withdrawal periods means that we know there are no traces of antibiotics in the meat or milk you buy at the grocery store. It means that we know that you and your families are not exposed to “extra” or unnecessary antibiotics. It means that farmers are doing everything they can to prevent the development of antibiotic resistance. 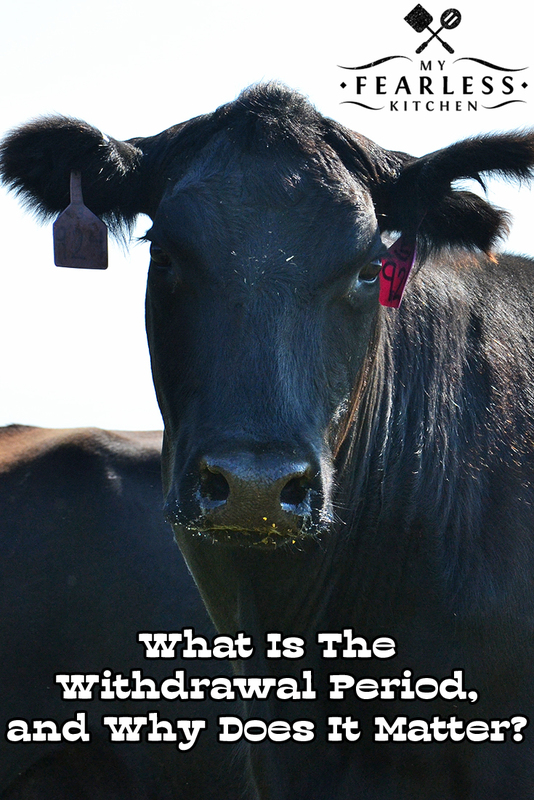 « How Do Farmers Keep Antibiotics Out Of My Food?